It is well known that First World War represented also a great laboratory, for psychology and psychiatry in particular. The topic of “war neurosis”, the psychological trauma suffered by soldiers deployed at front-line, has already attracted considerable attention and has been explored in historiography. Still, in the occasion of the centenary of the conflict (2014-2018), it seems important to pay further attention to this subject, which offers many important areas which have not been yet fully discussed. We are interested in contributions dedicated in particular to the Italian situation, but also to international comparison. war, psychiatrists, psychologists: how and how many took part in the conflict? What kind of reflections ensued? How was, in Italy and abroad, the political and scientific debate in scientific journals? the nosographic issue: how were the symptom soldiers presented with named? What meaning was given to different diagnoses in different contexts? life in asylums during the war (in active war areas but also far from the front) and in the years following the war: what was the impact of the war on the lives of inpatients (military and civilian), and on health professionals? the experience of prisoners of war, refugees and displaced persons: what the consequences on their minds? Scholars of every experience level are invited to submit proposals for papers, sending a Summary in Italian or English (max 500 words), by 31 March 2016. A completed application form (see attached) and Author’s curriculum vitae should by sent by email together with the Summary to the following email address: chiara.bombardieri@ausl.re.it (specifying in subject: Conference: The conflict, the trauma. Psychiatry and First World War). The Scientific Committee of the Centre for the History of Psychiatry will screen submissions and chosen contributions will be included in the official program of the Conference by May 2016. Conference proceedings will be published. 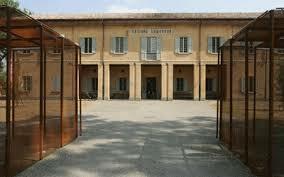 Conference Institutional Partners:AUSL of Reggio Emilia, Municipality of Reggio Emilia, Istoreco.